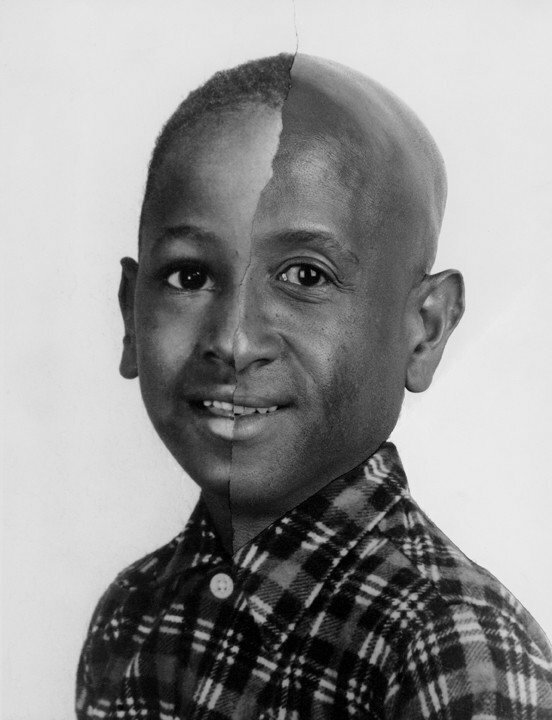 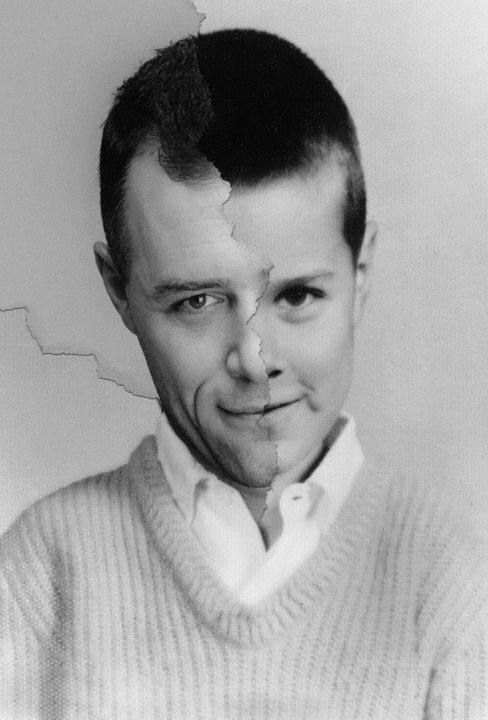 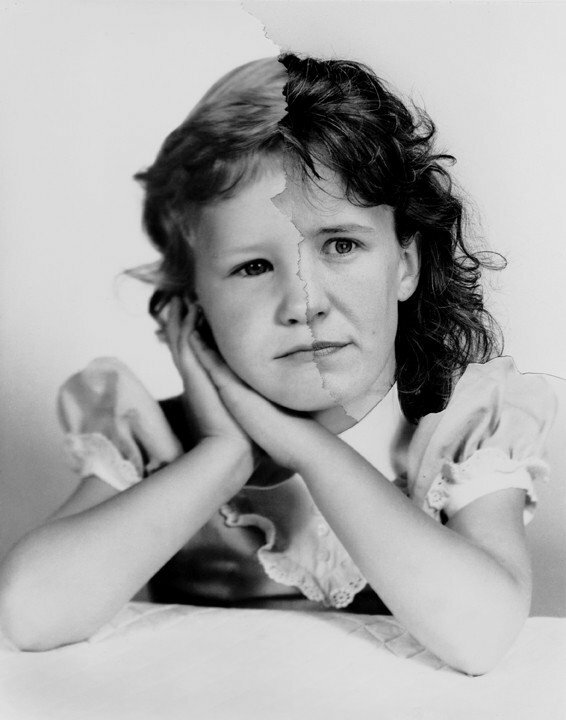 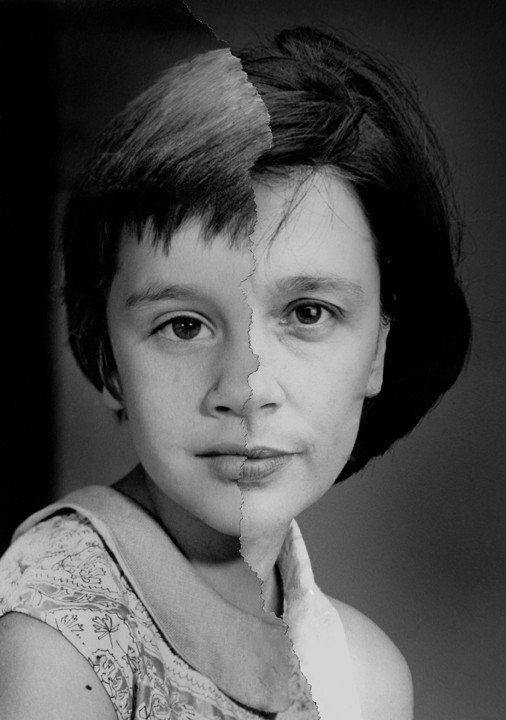 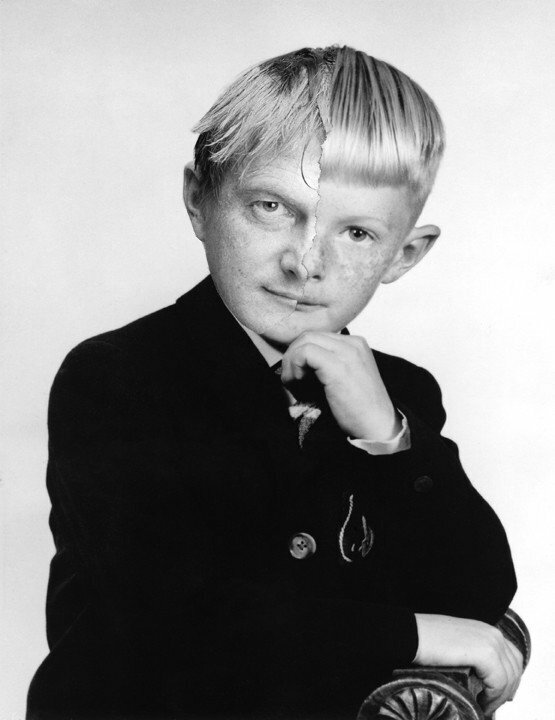 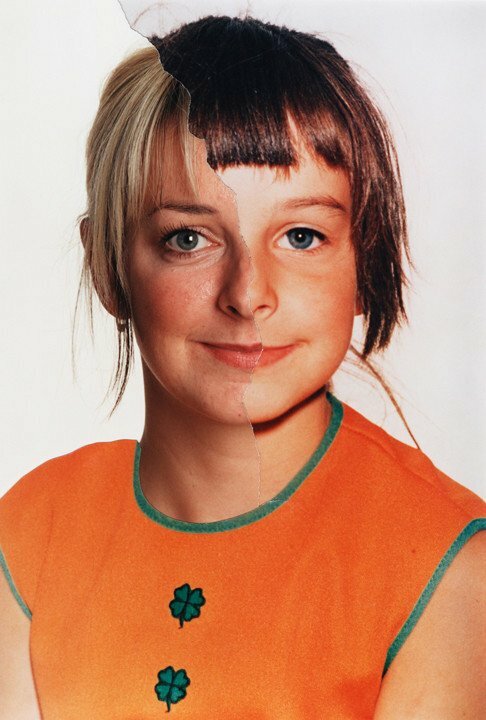 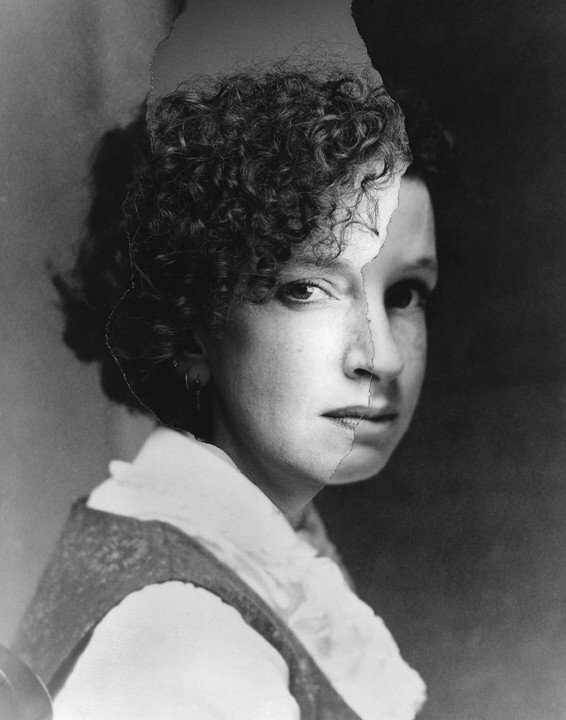 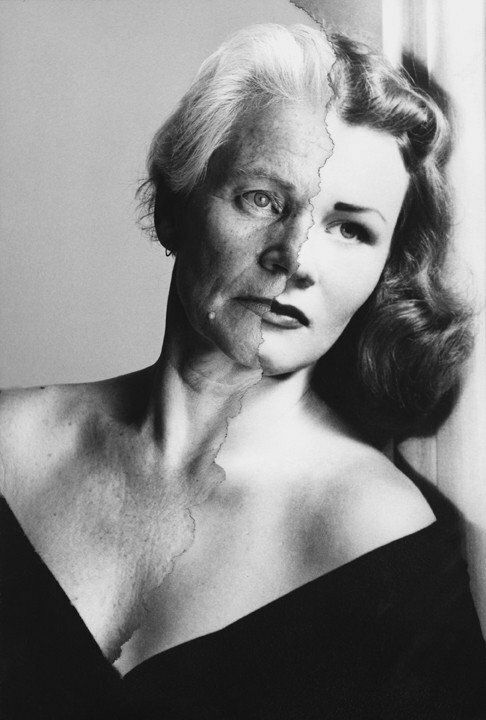 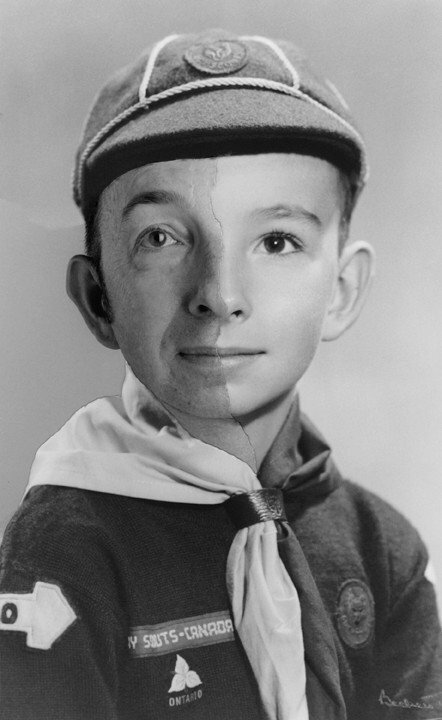 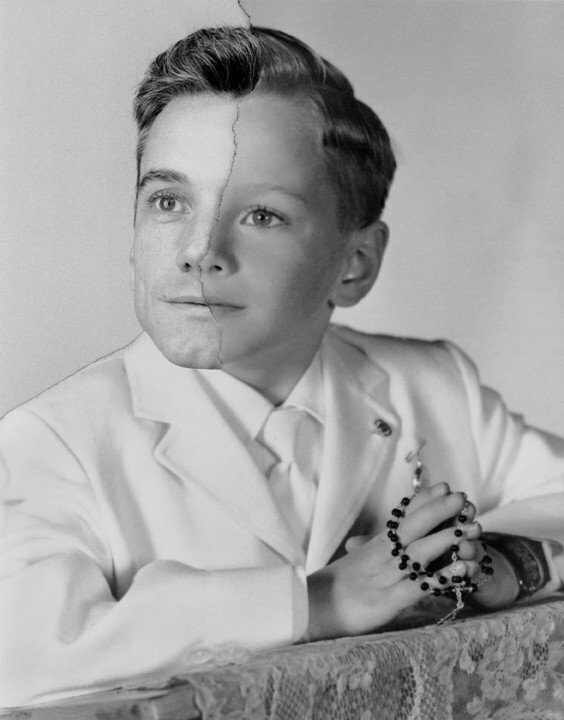 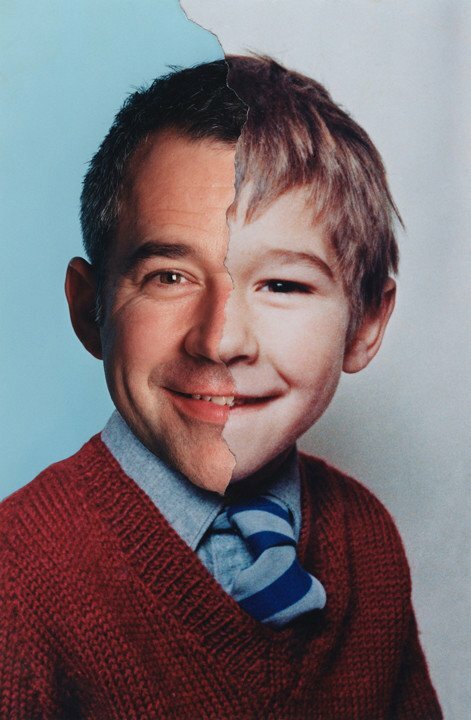 In a series called AgeMaps, photographer Bobby Neel Adams pieces together two pictures of the same subject, one from childhood, the other taken at the present. 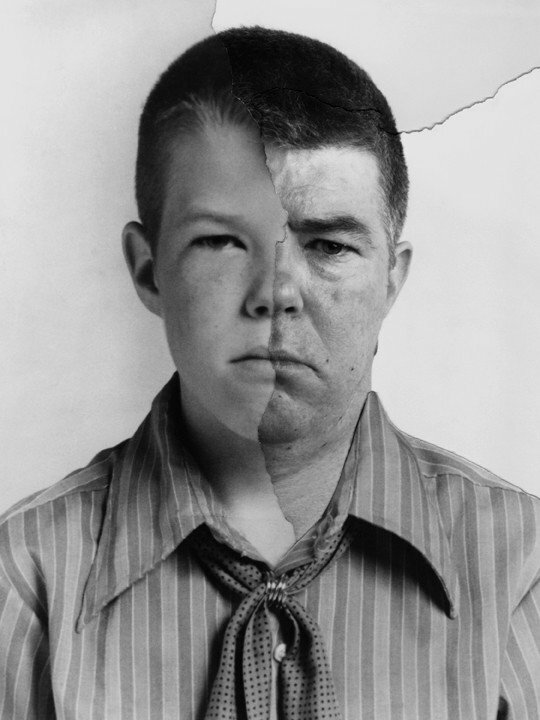 The project is done without the assistance of Photoshop, Bobby tears the childhood photo by hand. 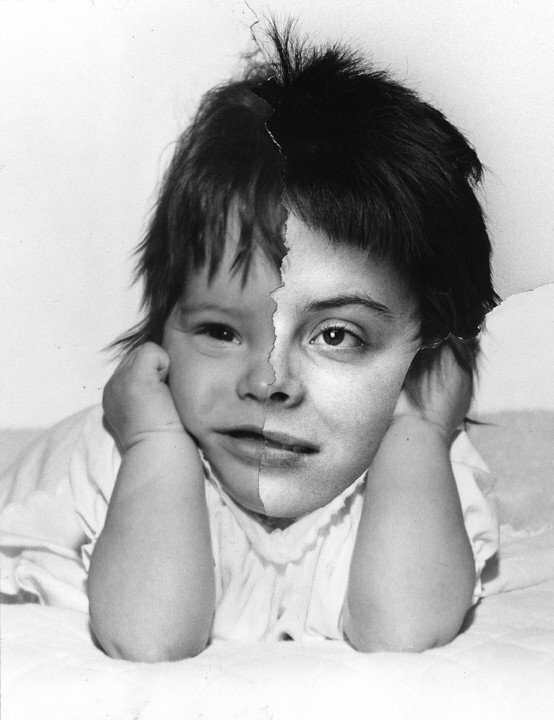 The fusion is made even more seamless due to the individuals dressing in the same clothing as the original photo. 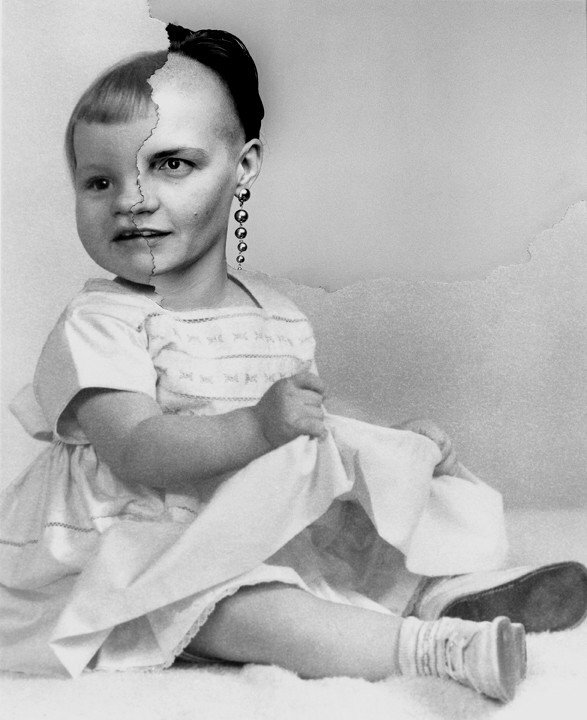 As you can see, the result is prettyyyyy creepy. 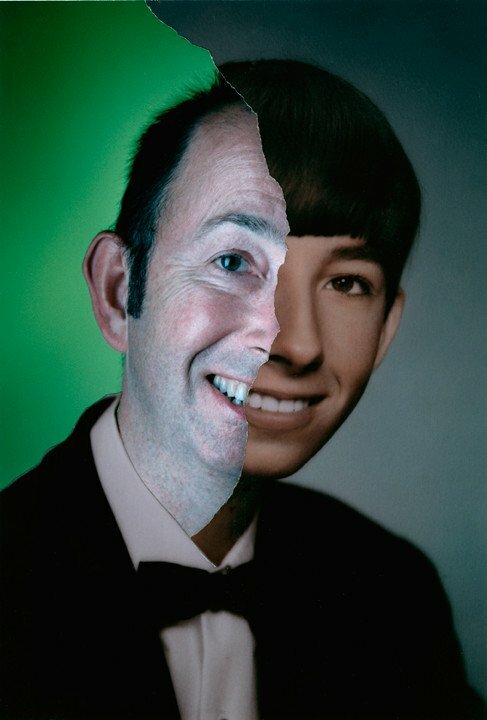 I guarantee if Bobby included my boyfriend in the project you wouldn’t be able to tell which photo is the recent one. 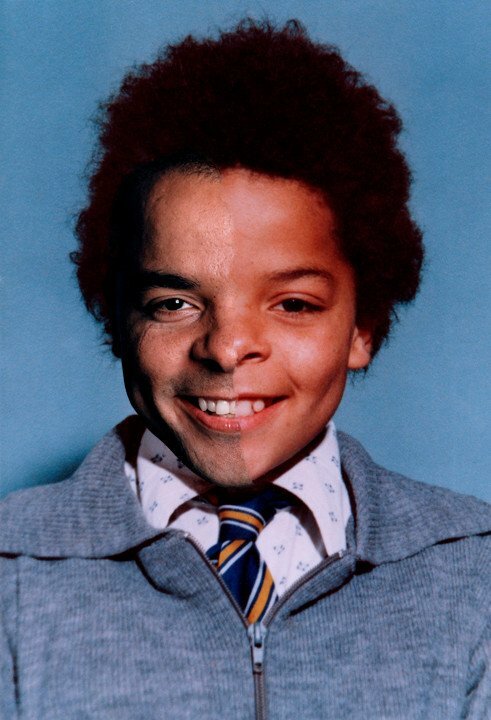 You know what I’m saying? 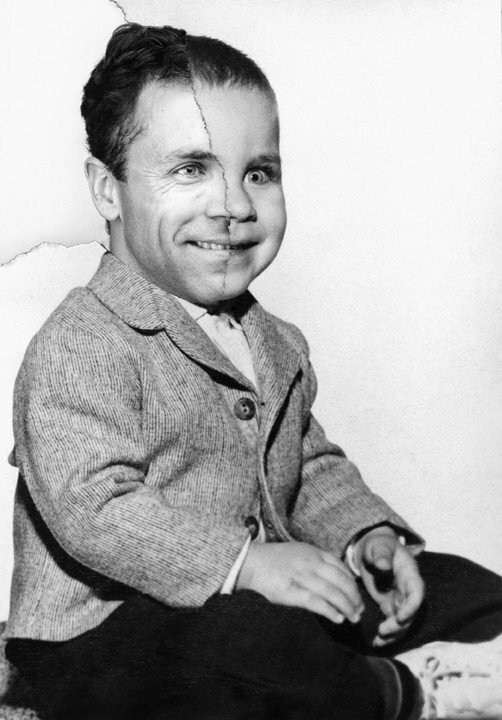 I’m saying he’s bald and wears a diaper!